There is one post filed in Books. Brad Feld, managing director of Foundry Group, is no stranger to the Canadian tech startup scene – he was a speaker at the C100’s AccelerateMTL event in 2011. (pre-order available) isn’t a book you that you will put down easily, but is one you will pick-up often. In fourteen chapters and one fell scoop; Brad makes us smarter and wiser about what it takes to nurture a vibrant startup ecosystem in any community. 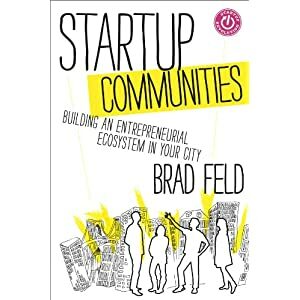 Feld sets the tone early in the book by stating that “Startups are at the core of everything we do.” Feld implies that it’s easier today to create and evolve startup communities “as a result of our networked society”, and he tosses away long-drawn old-school frameworks and previous theories that were primarily based on macro-economics, socio-demographics or geographical parameters. His thinking is framed around what he labels as “The Boulder Thesis”, a fresh framework that is based on pragmatism and lower barriers of entry. It’s all about on-the-ground reality as a lever to making things happen. 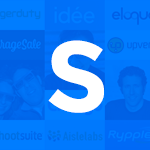 “The key to every successful startup community is startups. If you do nothing else, make sure all the founders and founding teams are visible and connected to each other.” That’s a golden statement to be reminded of. Remember, his message is aimed at the entire community. Feld doesn’t mince words when he places the role of the entrepreneurs as the most critical component. “Lots of different people are involved in the startup community and many non-entrepreneurs play key roles. But unless the entrepreneurs lead, the startup community will not be sustainable over time.” Amen. The Boulder Thesis is grounded in four key components: a) entrepreneurs that lead, b) leaders that commit, c) an all-inclusive mentality, and d) activities up and down the entrepreneurial stack. The book details them. A 17-year resident of Boulder, Brad observed that while Boulder didn’t have a lot of local VC’s, it did have a large number of VCs that viewed companies in Boulder as attractive to invest in. This fact alone means that any city cannot complain about not having a lot of local VC’s. Rather, they should focus on making themselves attractive to VC’s wherever these VC’s may be. Rightfully so, Brad advocates that activities such as “hackathons, New Tech Meetups, Open Coffee Clubs, Startup Weekends, and accelerators” are more important than “entrepreneurial award events, periodic cocktail parties, monthly networking events, panel discussions, and open houses” because they engage deeper into the entrepreneurial stack. To each city that’s listening, take inventory and assess your gaps. Then comes a key tenet of the book: there are Leaders and there are Feeders to any ecosystem. If you’re in a startup community, know who you are, and what your role is, but don’t confuse the two. So, who is a Leader and who is a Feeder? “Leaders of startup communities have to be entrepreneurs. Everyone else is a feeder into the startup community. This includes government, universities, investors, mentors, service providers, and large companies.” Entrepreneurs, rejoice. Driving the Leaders vs. Feeders point hard, Brad asserts that “the absence of entrepreneurs as leaders, or the overwhelming leadership by feeders, will doom a startup community.” Message aimed at the Feeders mostly. The Patriarch Problem, when those who made their money many years ago are still running the show. Complaining about capital, because there will always be an imbalance between supply of capital and demand for capital. Making short-term commitments. Well, it takes a long time to build a startup community. Twenty years to be exact. Having a bias against newcomers. Instead, swarm the newcomers. Attempt by a feeder to control the community. Why? Feeders retard the actual growth of the startup community. Creating artificial geographic boundaries. They don’t matter much at all at the state and city level. Waterloo-Toronto: are you listening? Playing a zero-sum game. This means stop thinking that “Our community is better than yours”. Having a culture of risk aversion. Make sure you learn something from what didn’t work. Avoiding people because of past failures. Rather, embrace the failed entrepreneur because it encourages more entrepreneurs to take more risks. Brad goes on to list in great details the many activities that make-up Boulder’s community what it is. My advice: when you get the book, use it a checklist and see what your city is missing. In Chapter Eight, Brad takes us on the case study of TechStars, and in it he rubs in the fact that there is a distinction to be made between Accelerators and Incubators because they are formed differently and have different objectives. We need more local venture capital. “Venture capital is a service function, not materially different from accounting, law, or insurance. It is a type of organization that services existing businesses, not one that causes such companies to exist in the first place. While businesses need capital, it is not the capital that creates the business. Pretending otherwise is reversing the causality in a dangerous way.” That fits well within the Leaders vs. Feeders theory. Startup Communities is a call for introspection aimed at any city, community, entrepreneur, developer, funder, leader or feeder. The book makes you think about whether you’re doing the right thing. It should prompt every city or ecosystem to answer the tough questions: Do we have enough leaders as entrepreneurs? Are we going to stop making excuses? Can we work better together? If you’re involved in technology startups, this book will not just touch a nerve. It will run through your spine. How do you think Canada is doing in regards to building entrepreneurial ecosystems in the major cities? Editor’s Note: The author, William Mougayar is CEO of Engagio, a universal Inbox and Discovery Network for social conversations. You can pre-order Brad’s book on Amazon and ensure delivery as soon as it’s published in September.